If you are using the VPS or other plans that may need Plesk control panel, of course, you will need to pay the monthly payment over the Plesk licensing. The plan such as VPS or dedicate requires an IT Admin skill to handle, we, from AngkorHost will provide some support but not fully support that we can offer and of course, we try our best for your satification. Anyway, by default Plesk is installed in lower version, you need to upgrade your plesk panel to at least version 12.5, we recommend to the stable version 12.5.30 with this version, you can manage different PHP versions. 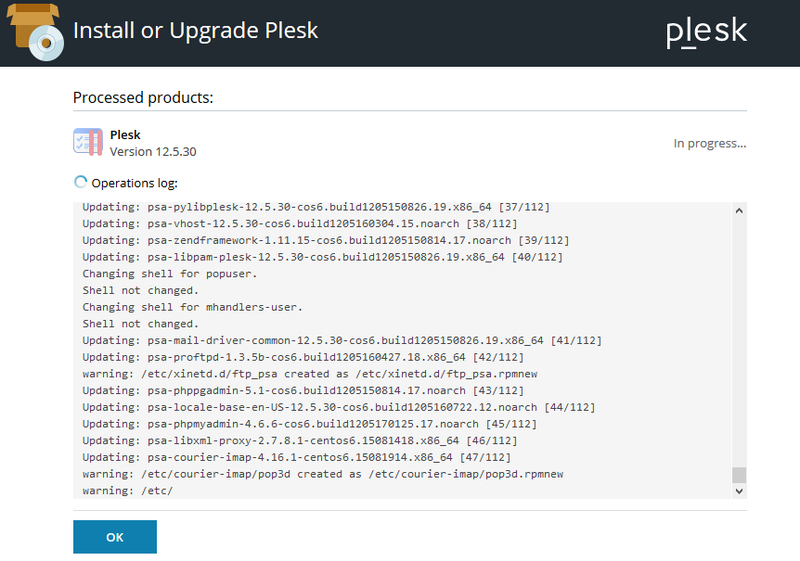 Choose: Install or Upgrade Product and select the Plesk version 12.5.30, it's a stable version. You can wait or close the browser, it will run in background in your server.